Land Rover today announced the launch of the much-awaited Range Rover Velar with prices starting from ₹ 78.83 Lakh in India. Derived from the Latin word Velare meaning ‘to cover’ or ‘veil’, Velar is a direct reference to the code name used on the original, pre-production Range Rovers of the late 1960s. Available in three powertrains, a 2.0 l 4-cylinder 132 kW diesel, a 2.0 l 4-cylinder 184 kW petrol, and a 3.0 l V6 221 kW diesel, the New Range Rover Velar offers world-class refinement, all-terrain capability with exceptional performance. 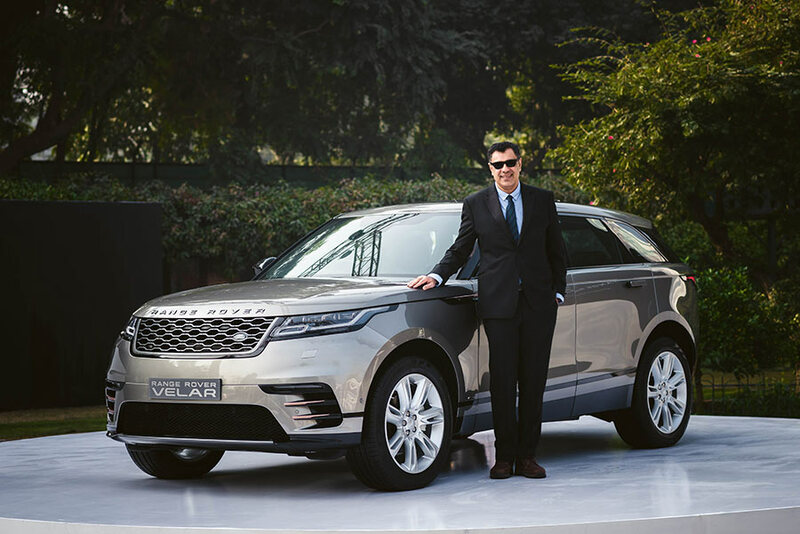 Since the global reveal of Range Rover Velar, it has received an overwhelming interest in India from media, customers and Land Rover enthusiasts. The Velar was one of the most awaited luxury SUVs and with its addition, the Land Rover product portfolio has a luxury SUV for every customer need. The Velar will further strengthen Land Rover’s position in the overall Luxury SUV market in India. The New Range Rover Velar exudes a sense of precision, craftsmanship and quality. Created through elegant simplicity and a visually reductive approach, it offers compelling design and unrivalled capability in all conditions. The Range Rover Velar is placed between the Range Rover Evoque and Range Rover Sport and is beautifully balanced with optimized proportions. It comes with a revolutionary design with foil-stamped grille, elegant sides and has sleek LED headlights and rear lights. Adding to its striking design are the flush deployable door handles and integrated rear spoiler for improved aerodynamic efficiency. At the rear, the vehicle’s design is distinguished by quad tail light signature elements with the iconic Range Rover script. Range Rover’s interior design architecture, with its strong elegant horizontal lines, blends seamlessly with innovative features to give a feeling of calm and enhance the driving experience. Beautiful materials, including optional Windsor leather with a signature Cut Diamond pattern throughout the cabin, add a contemporary twist. The centrepiece of the interior is the twin-screen, (10) Touch Pro Duo infotainment system, which combines a rake-adjustable upper touchscreen with a second screen in the main console between the seats, which retreats to a solid, opaque darkness until required. Between the two screens, which are linked allowing occupants to move content between the two with a flick of a finger, nearly every non-dynamic feature can be controlled. Velar’s intelligent, efficient, torque-on-demand all-wheel-drive (AWD) system delivers exceptional all-terrain performance and agility with outstanding ride quality and composure. With a suite of world-class traction systems, including Terrain Response 2 and All-Terrain Progress Control (ATPC), Velar offers class-leading composure and control. The Land Rover range in India also includes the Discovery Sport (starting at ₹ 42.48 Lakh), Range Rover Evoque (starting at ₹ 50.20 Lakh), All-New Discovery (starting at ₹ 71.38 Lakh), Range Rover Sport (starting at ₹ 93.82 Lakh), and Range Rover (starting at ₹ 166.42 Lakh). All prices mentioned are ex-showroom prices in India.